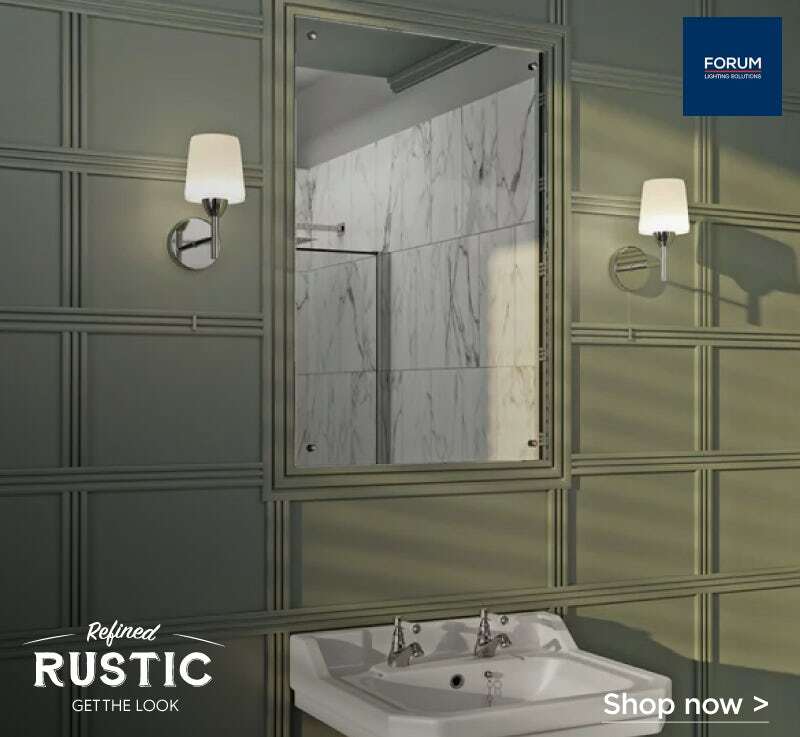 In the final part of our “Get the look” style guide, I’ll be showing you exactly which VictoriaPlum.com products we used to create our own Refined Rustic bathroom. If you’re joining us for the first time, why not head back to part 1 and start from the beginning? In part 1, I introduced the style, along with some broader tips on approaching this type of renovation. In part 2 I recreated the look in a small bathroom and understairs cloakroom. In part 3, I introduced you to the colours, textures and accessories that make this look work. With many period properties, people look to traditional style bathrooms to achieve a look that harmonises with an older home. However, as we have discovered, contemporary bathrooms can do an even better job when it comes to accentuating and highlighting all those gorgeous original features. Baths and ceramics with clean lines and soft rounded edges will allow weathered wooden beams and rough stone walls to take centre stage. Whilst furniture in sympathetic wood finishes, along with more natural-looking floors and walls, will blend seamlessly with your décor. 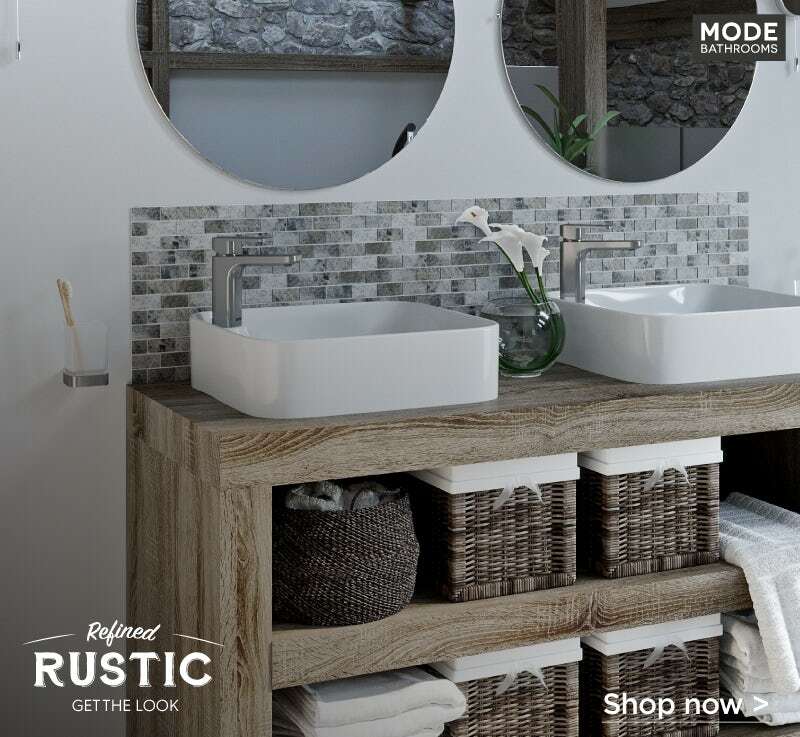 When creating our own Refined Rustic bathroom, we mainly chose products from Mode Bathrooms, which you’ll find below. A show-stopping centrepiece in any contemporary bathroom, the Foster freestanding bath is the perfect design in which to lie back, relax and admire the fruits of your labour. Made from tough acrylic and reinforced with fibreglass, it’s incredibly tough and will keep your water warmer for longer. 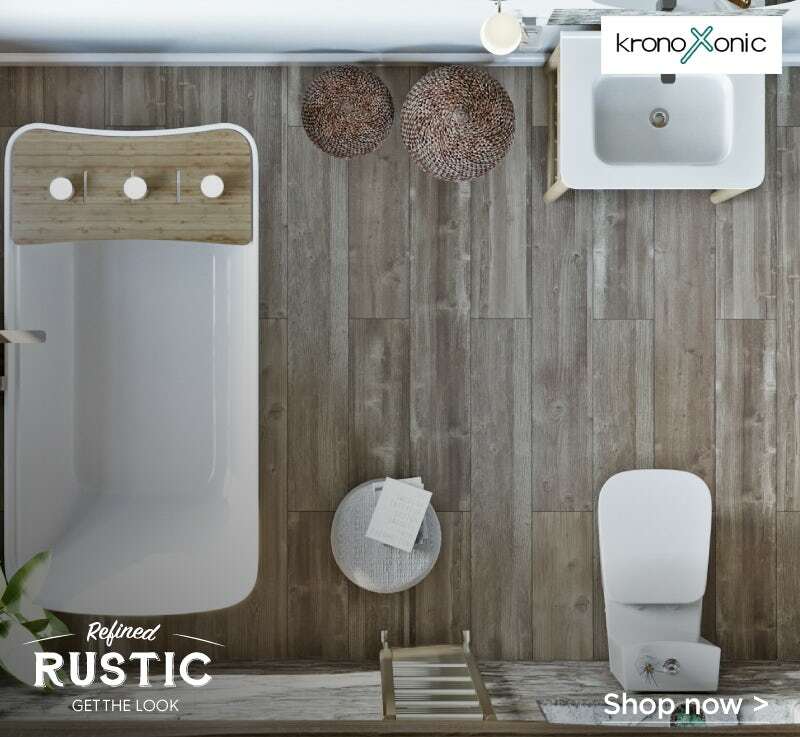 The simple, contemporary shape will allow the rustic features of your bathroom to do all the talking, whilst the bamboo bath bridge which can slide along grooved edges, is the perfect place to store your latest book or even a cheeky glass of something bubbly and refreshing. Many bathroom designers are turning away from common chrome taps, searching for a metallic finish that complements the look and feel of their chosen style. For the Refined Rustic look, we’ve selected the Spencer square wall mounted brushed nickel bath mixer tap, which has a slightly more weathered appearance. The superior PVD plated finish is durable and long-lasting, whilst the wall mounted design produces a sleek, sophisticated installation. 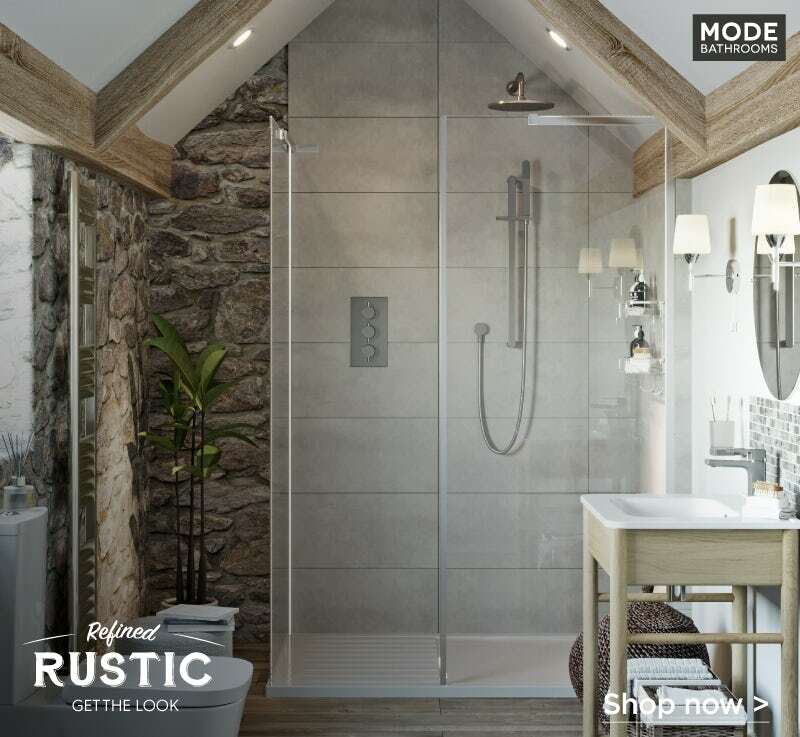 You’ll want to keep your rustic renovation feeling light and open, so what better way to achieve this than with a frameless walk in shower enclosure? 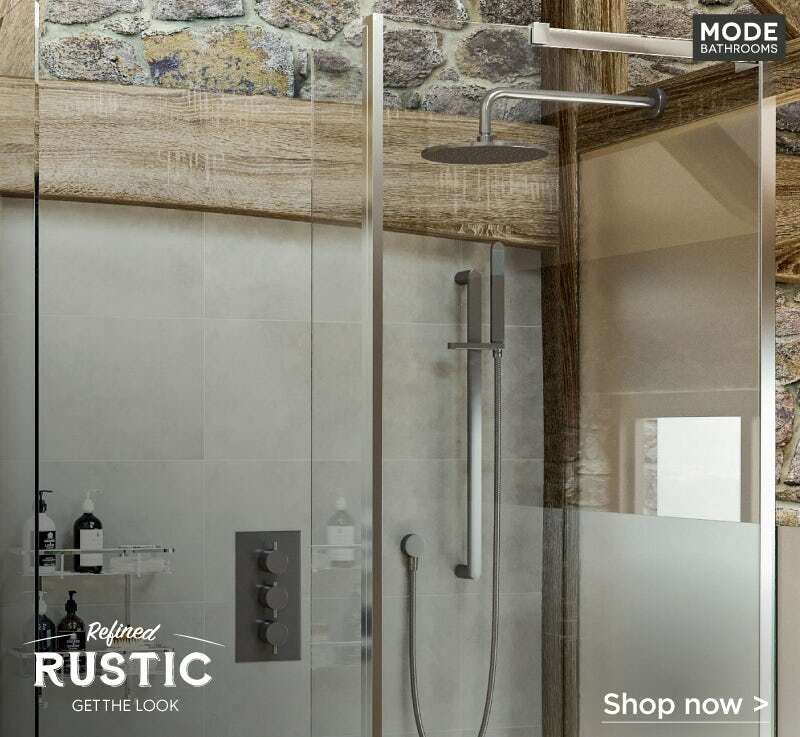 Featuring stylish 8mm glass that conforms to all relevant British safety standards, this walk in shower enclosure provides easy access, complete with a durable stone resin tray. Plus, with an easy clean coating, some household cleaner and a simple wipe is all that’s required to maintain its sparkle. A high end bathroom deserves a high end, designer shower, which is why we selected the stunning Banks thermostatic shower valve with slider rail and wall shower set. Offering precise control even when wet, thanks to the textured grips on the concealed valve, both the handset and overhead shower can be used simultaneously for an indulgent showering experience. 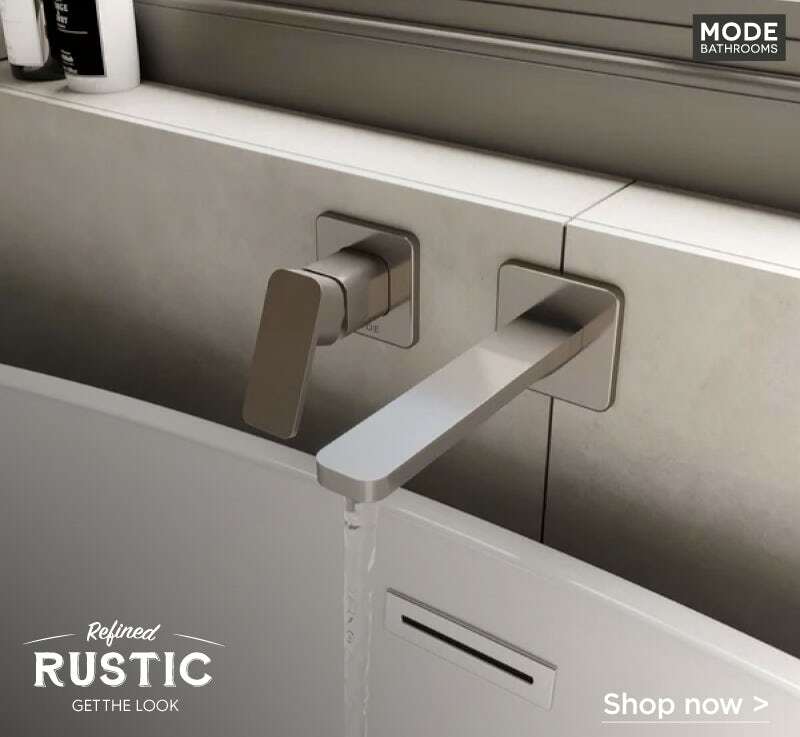 The minimalist appearance means you can enjoy luxury without drowning out the rustic features that make your bathroom unique. Delicate, thin edges give the Hughes countertop basin genuine minimalist styling. Made from high quality glazed ceramic that’s easy to clean, it also comes with an integral tap hole, so you can choose your favourite basin mixer tap. Why not add a second basin for your partner to use? 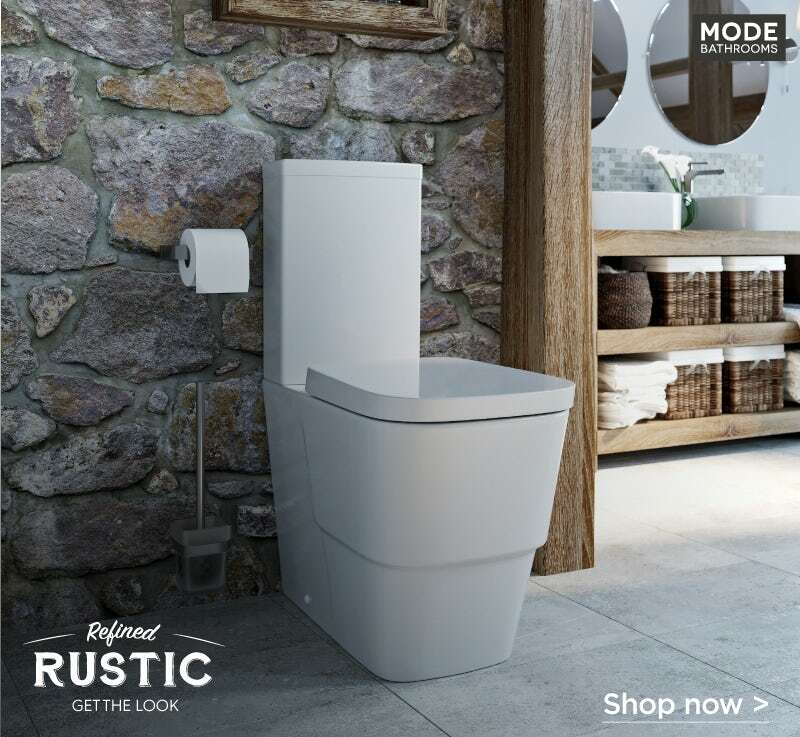 With its striking rectangular shape, the Foster close coupled toilet is designed to complement the freestanding bath, for a harmonious look and feel. The slimline cistern comes with a dual water-saving flush of 4.5 or 3 litres, whilst all cistern fittings are WRAS (Water Regulations Advisory Scheme) approved. Whilst getting the look right is a top priority, getting feel right is equally important. 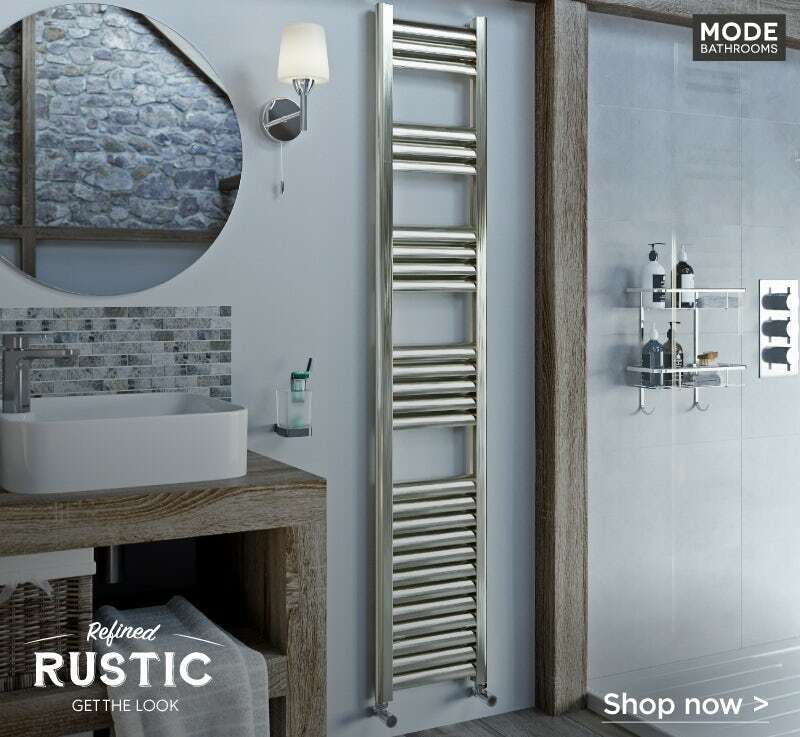 With the stylish yet understated Carter heated towel rail, your room will feel snug and warm during those cold winter months, offering a welcoming embrace the moment you step out of your bath or shower. Made from efficient aluminium, this towel heater will also help save on energy bills. 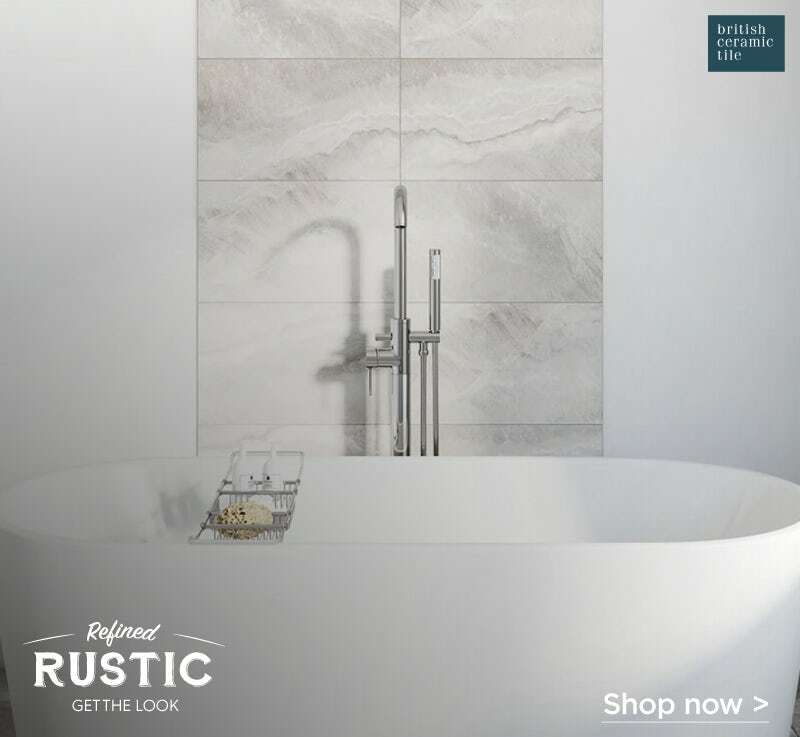 Adding a stone element to your Refined Rustic bathroom could be costly, however, by using these stone grey matt tiles from British Ceramic Tile, you can bring the budget down. Thanks to the very latest high definition printing techniques, each ceramic tile comes with its own characteristics, plus a sandstone grey finish that looks perfectly authentic. Another quick and easy way to introduce a more natural feel to your bathroom is to use wood-effect vinyl flooring. Our Krono Xonic range of flooring is so easy to install, you could do it yourself, saving time and money. Featuring integrated silencing pads that help keep noise levels down (especially handy in a renovation), these vinyl planks come with a tough, anti-bacterial finish that is easy to clean. We chose Rocky Mountain Way which produces the look of rustic wood with none of the maintenance issues. For a little extra task lighting, we chose the Helios bathroom wall light. The contemporary design fits seamlessly with the rest of our décor, whilst the LED bulb will save money in the long run. Like what you’ve seen? 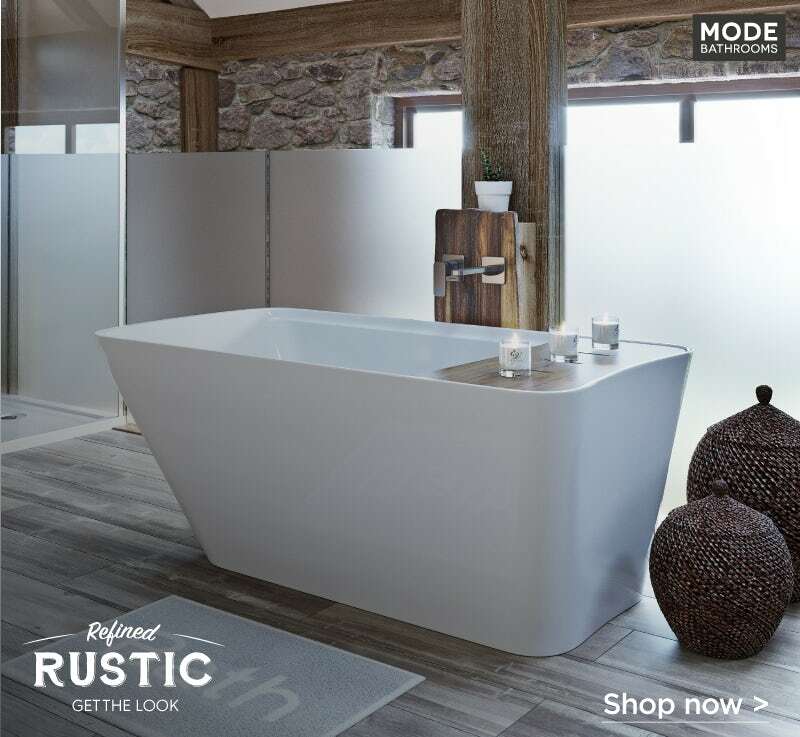 Why not create your very own Refined Rustic bathroom by browsing all our contemporary bathroom products from Mode Bathrooms. Check out the rest of our style guides and find the look that’s right for you. Escaping to the country is the dream of many people. We look at how to achieve a refined rustic bathroom that is sympathetic to the original features of your rural property.